When you measure it on a “per mile traveled” basis, air travel is, by far, statistically safer than automotive travel. There are far fewer aviation crashes, but when they do occur, the results are almost always devastating. They usually involve multiple fatalities and a large number of serious injuries and the families of those who died must always fight an insurance company and a team of opposing counsel who would like to pay out as little as possible. And in almost every case, determining liability in aviation crash cases tends to be far more complicated, which means a long and detailed investigation of all circumstances is necessary. To deal with this, you need a San Antonio Aviation Accident Attorney who can find out everything there is to know and apply Texas and federal law to the case. Depending on the circumstances surrounding an aviation accident, any of a number of laws can apply and any number of parties may be held responsible or even partially responsible, including the commanding agencies, air-traffic controllers, the airlines and airline personnel, maintenance crews and even aircraft or parts manufacturers. Any or all of them may be liable due to negligence. In some cases, more than one party may be involved. There are many types of aviation accidents, and they often involve different issues. Again, traveling on a commercial airliner is easily the safest way to travel. That is true based on statistics, but it is also true by design. Most commercial aircraft these days are designed to fly with one or more engines impaired or out of service, which means they are designed to fly in hazardous conditions. Also, well-trained pilots make airlines and passengers feel confident that they can glide impaired planes to a relatively safe landing, thus minimizing the instances of death and/or injury. While there are relatively few of them, commercial aviation accidents do sometimes happen and they often leave behind either dead or severely injured passengers. When these accidents happen, every aspect of the accident should be investigated. Also, though many of these accidents happen in other countries, many accident victims may be able to file a lawsuit in a U.S. court in order to receive compensation for their injuries. While aviation accidents overall are rare, most of that is due to the commercial airline industry. Because more than 90 percent of all aircraft in the United States are privately owned by someone other than a major commercial airline, it should be no surprise that most aviation accidents involve privately owned and operated airplanes and helicopters. More than 65 percent of all flight hours are actually logged by private pilots who do not work for a major airline and they are often not as highly trained. This group of aircraft includes charters, tours and other aircraft that are not used for commercial air travel. Privately owned aircraft can include everything from small two-seater planes to medium-sized jets to cargo planes. While the vast majority of such planes take off and land safely without a problem, private aircraft still suffer a rate of fatal accidents that is almost 100 times greater than commercial air carriers. Private carriers have a fatality rate of 1.45 out of every 100,000 flight hours, as compared to the rate for commercial airlines, which is 0.017 per 100,000 flight hours. Sometimes, when someone has been seriously injured in another type of accident, they are picked up by an air ambulance to be taken to the hospital more quickly. Unfortunately, incidents in which EMS planes and helicopters crash are almost twice as common as other types of aviation accidents. A lot of this is because air ambulance pilots and crew are under a much higher degree of pressure and usually have to operate under difficult conditions. There are other problems, as well. For one thing, since serious accidents are more common in bad weather, air ambulances commonly operate in bad weather conditions, as well. However, recently the National Transportation Safety Board (NTSB) recently issued a public reprimand to the industry for what it terms as “carelessness and complacency.” They claimed that those two factors accounted for nearly 40% of all air ambulance-related aviation accidents. Helicopters are used a lot all over Texas. As noted, they are used as air ambulances quite frequently. They are also used frequently in the oil and gas industry, to move supervisory personnel and others from one drilling site to another and to ferry oil and gas workers onto offshore rigs in the Gulf of Mexico. Unfortunately, there are a fair number of helicopter-related aviation accidents in the state, resulting in far too many injuries and fatalities every year. Most of these helicopter accidents are caused by someone’s negligence, whether it’s human error, poor maintenance, flying in poor weather conditions or flying with an unsafe load. The maintenance is a common problem because helicopter equipment can wear out over time, thus leaving such critical parts as gearboxes, rotor heads, and even engines to fail if they are not maintained or replaced when necessary. That is how helicopter accidents happen. Because of simple physics, most helicopter crashes too often leave crash victims either injured or killed. Those who survive to report many types of injuries, including traumatic head and brain injuries, back and spinal injuries, bruising and contusions, broken bones and, too often, paraplegia and quadriplegia. Almost always, air shows are a lot of fun for those who attend and watch the way these highly skilled artists maneuver their aircraft for the greatest effect. However, while extremely rare, aviation accidents do happen at air shows. Most of the time, when there is an aviation accident in an air show, only the pilot is injured, but sometimes the result is much worse. For example, just last year, two attendees to an air show in Mankato, Minnesota were injured when a six-year-old boy accidentally started a medical transport aircraft that was on display. Back in 2011, an air show in Reno, Nevada turned tragic when a highly experienced stunt pilot lost control of his heavily modified World War II-era P-51 Mustang airplane and it crashed into a crowd of spectators, killing 11 and injuring more than 70 others. Unlike many other aviation accidents, an air show crash will involve many different legal issues that will have to be sorted through to determine who is and is not liable and that will require the assistance of an aviation accident attorney. In the vast majority of aviation accident cases, everyone involved knew something about aviation when they were operating the plane under somewhat predictable conditions. However, with air shows, you have spectators, most of whom know nothing about aviation except that they like looking at it. Yet, they are sitting precariously close to highly modified planes operated by pilots who often conduct advanced flying maneuvers at extremely high speeds. Given these factors, everything possible should be done to ensure the safety of everyone, from pilots to spectators. The National Transportation Safety Board (NTSB) investigates all accidents involving aircraft and may find that one or even several parties are liable in an air show accident. The pilot could be found to be reckless or negligent in the way they flew their aircraft. Promoters and organizers could be found liable if they failed to take adequate safety precautions, such as placing spectators too close to the planes or providing an inadequate barrier. If the aircraft involved in the crash had not been maintained to reasonable standards, or shortcuts were taken in aircraft maintenance, those responsible could be found liable. And in some circumstances, even federal, state, or local governments may be found negligent in not providing adequate oversight and perhaps allowing such events to take place despite the risk to the public. Every aviation accident attorney understands that every type of aviation accident is its own special case. Each type requires a specialized set of investigatory skills to determine the cause of the crash. Also, each type of crash may be subject to different sets of regulations having to do with the specific type of aircraft and the specific purpose for the flight. For example, the act of determining the possible causes of a large cargo plane crash is far different than investigating the crash of a medical helicopter, and that is far different from investigating the crash of a single-engine small plane. That is why the victims of aviation accidents need an experienced aviation accident attorney by their side at all times. In addition to an investigation of the aircraft itself, a skilled aviation accident attorney will investigate everything. They will have to conduct an analysis of all pilot actions, as well as pilot training and qualifications. They will also have to conduct an analysis of aircraft maintenance records and manufacturer recall records to determine whether the aircraft or certain parts failed. They will look at weather conditions at the time of the accident, to determine if that may have affected the accident. They will have to examine many other important factors, as well. 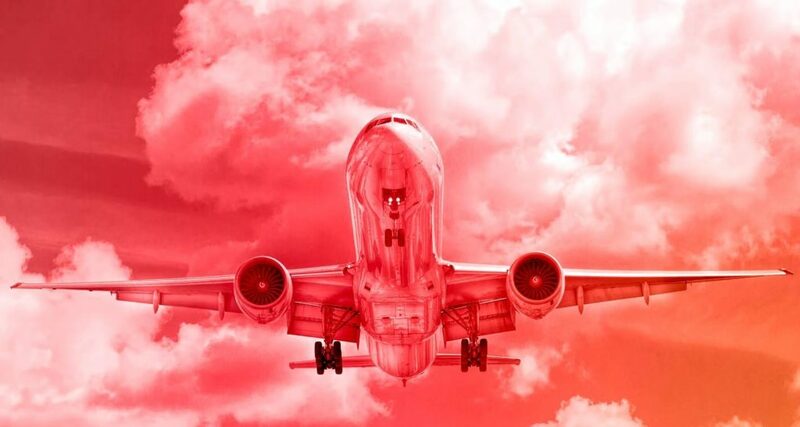 Because every aviation crash is unique, it is important to hire an experienced and knowledgeable Aviation Accident Attorney who can thoroughly investigate all potential causes of the accident on behalf of the victims and their families. It is also important for the Aviation Accident Attorney to understand how various parties may be held liable for their role in the crash, including the pilot, the owner, and operator of the aircraft, any contractors or subcontractors, the seller of the aircraft or even the manufacturer of the aircraft or certain parts. Justin Hill is a San Antonio Aviation Accident Attorney with the experience and knowledge needed to help those who have been injured themselves or who have lost loved ones in any sort of aviation accident hold everyone responsible who may have been negligent leading up to the accident. If you are in that position and you have questions or you just want to discuss your legal rights, please call the San Antonio Personal Injury Attorney at Hill Law Firm today at (210) 405-9206 to schedule a free consultation.